Wonder mare Winx has been crowned the world's best racehorse at the Longines International Federation of Horse Racing Association awards in London. The seven-year-old shared the honour with English superstar Cracksman - the pair each holding an official handicap rating of 130 - emulating the feat of Black Caviar who jointly-held the title with French filly Treve in 2013. 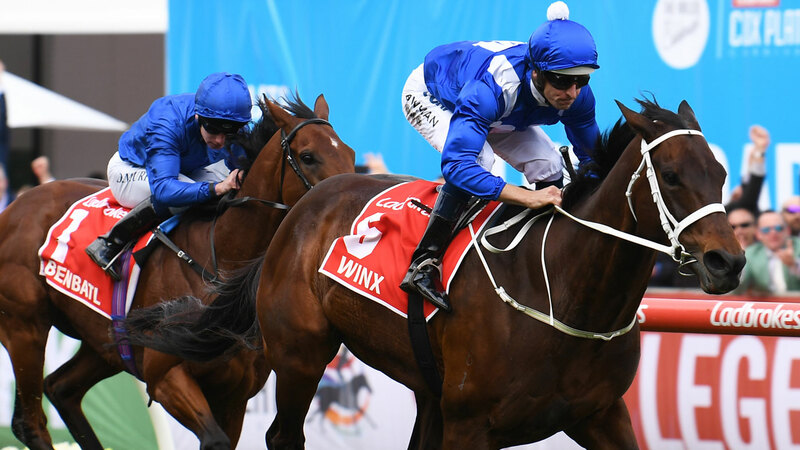 Winx won seven Group Ones in 2018, including a record fourth Cox Plate, and after finishing second and third respectively behind American star Arrogate for the last two years, finally took out the top gong. Breeders Cup Classic winner Accelerate was third, surprisingly edging out the brilliant two-time Prix de l'Arc de Triomphe winner Enable. The French showpiece was named the world's best race for the third year running. 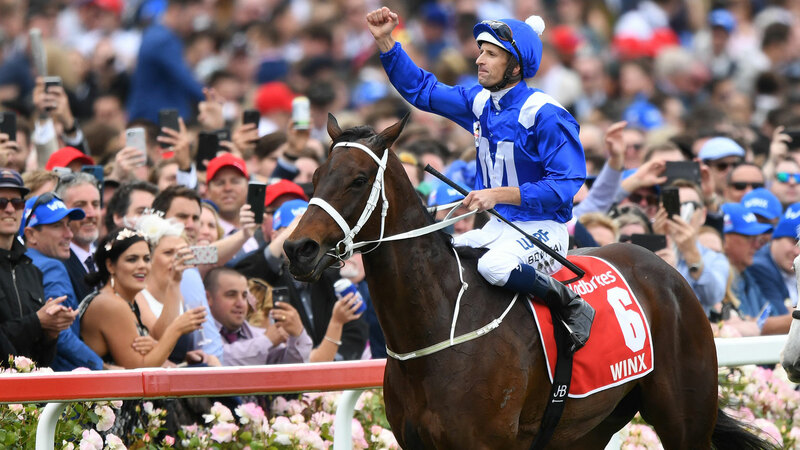 Despite Winx's 29 successive triumphs, the award takes into account the official ratings of the races and the quality of the opposition in elite races over a designated period. Trainer Chris Waller said finishing in the top three once again demonstrated the incredible consistency of a horse that is lauded by many as the greatest to ever come out of Australia. "It's what separates Winx from a lot of great horses," Waller told AAP. "She is doing it for a long time and it's not easy to get to this level and then to sustain it. "To be recognised here three years in a row shows what Winx is; a horse of longevity and a horse that can perform at the highest level." Waller said the pressure of maintaining his charge's winning record has been significant given the expectation whenever she sets foot on the track which is higher than any other horse he's been involved with. "Each times she runs ... there is pressure," Waller said. "Whether it be the first preparation of the year, knowing she has come back well or the sigh of relief when she gets through the last one undefeated, which was the Cox Plate. "Before each race you always question yourself and whether you are making the right decision to keep her racing." Given that weight of expectation, Waller believes there is more to lose than gain by bringing Winx over to the UK for a crack at Royal Ascot in June and confirmed she'll finish out her glorious career on home soil. "We think about it (Ascot) every day," he said. "But the right thing would have been to bring her when she was a five-year-old. "She is seven now, getting towards eight, and the expectation of her fanbase is for her to finish her career in Australia. "For her to go through a change of season twice and then go back and perform over here is very difficult and very taxing. "You then have to ask the question; why would she have to go to England? Why not go to America? To Dubai? To France? Or on a plane to New Zealand? "Who deserves the right to have her when every horse can come to Australia to race her? "We're just putting the horse first and we have great racing in Australia."